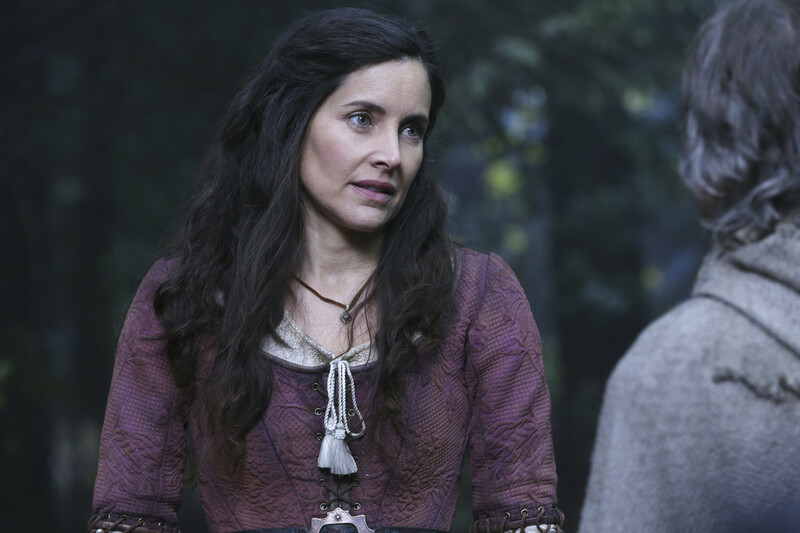 Once Upon a Time Season 5 Episode 14 Sneak Peeks: "Devil's Due"
On Sunday's all-new episode of Once Upon a Time, season 5, episode 14, "Devil's Due," Hades (guest star Greg Germann) threatens to condemn Hook (Colin O'Donoghue) to the River of Lost Souls after Hook refuses to choose which three of his friends will have to remain in the Underworld. Meanwhile, Gold (Robert Carlyle) is eager to help Emma (Jennifer Morrison), Snow (Ginnifer Goodwin), David (Josh Dallas), Regina (Lana Parrilla), Robin (Sean Maguire), and Henry (Jared Gilmore) find Hook so he can return home to Belle (Emilie de Ravin), but in order to do so he must find his ex-wife Milah in the Underworld, and receive her help. In the sneak peeks below, when Hook refuses to carve names of his friends on headstones, Hades is furious and threatens to send him to the River of Lost Souls. Meanwhile, when the heroes are determined to rescue Hook, Gold comes up with a plan to help them. Watch these sneak peek spoilers and tune in SUNDAY, MARCH 20 8|7c! 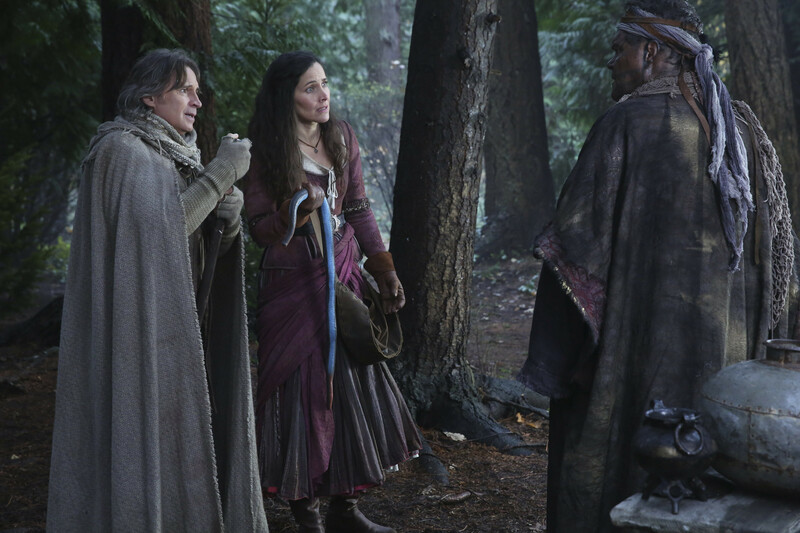 Milah and Rumple meet with Fendrake. Watch Once Upon a Time SUNDAYS 8|7c on ABC.